Enriched with fruit acids, this gentle yet effective exfoliating cleanser will help to smooth and refine your skin. 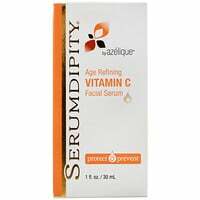 Regular use will help to ensure your skin receives the hydration it needs from your daily moisturizer. Exfoliation helps to improve micro-circulation to the skin, improving collagen production. Beneficial for all skin types. Massage a small amount into damp skin, rinse well. 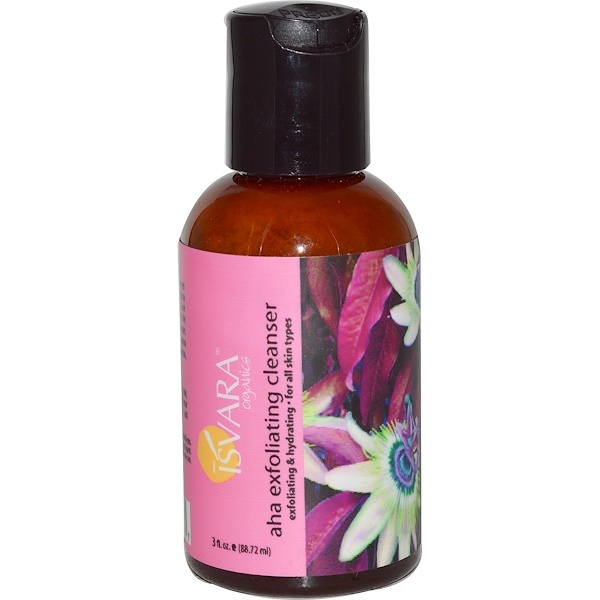 For best results follow with your favorite Isvara Organics moisturizer and sunscreen. 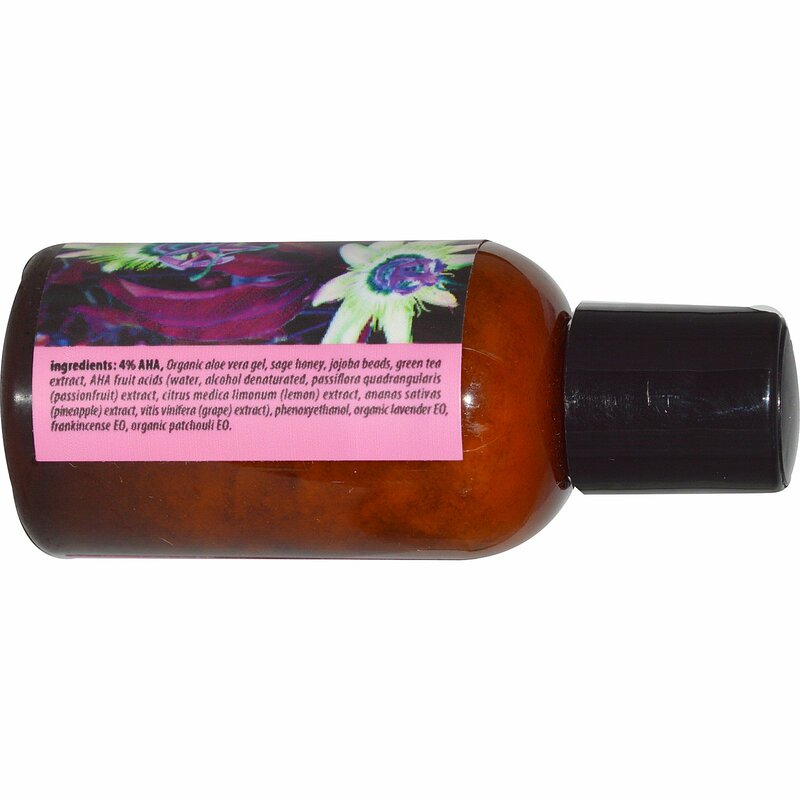 4% AHA, Organic aloe vera gel, sage honey, jojoba beads, green tea extract, AHA fruit acids (water, alcohol denatured, passiflora quadrangularis (passionfruit) extract, citrus medica limonum (lemon) extract, ananas sativus (pineapple) extract, vitis vinifera (grape) extract), phenoxyethanol, organic lavender EO, frankincense EO, organic patchouli EO. Caution: Keep away from children. Avoid contact with eyes. In case of eye contact, flush with water. Do not ingest. Caution AHA's can increase your sensitivity to the sun.